A viennoiserie to start your day? Many of us save the treat for a weekend experience. And sometimes you don’t want to escape the cozy of home to dart out for an early morning trip to the bakery for a pastry pickup. 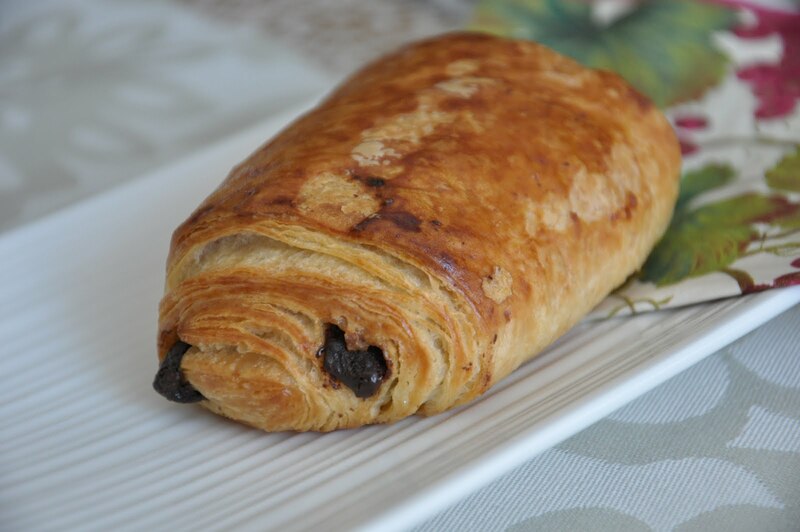 Grace In The Kitchen, at 442 Hazeldean Road in Kanata, carries frozen croissants and pain au chocolat from France. They are sold under the name Cool & Simple, a company in Montreal. Grace In The Kitchen also sells the baked finished product at their in-house coffee bar. 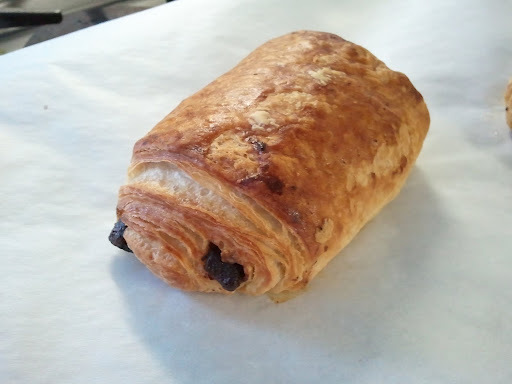 I tried a pain au chocolat as an accompaniment to my pour over Intelligentsia decaf coffee. Very pleased. It struck me that it would be the perfect morning treat when PJs reign and there would be no trip out to Art-is-in Bakery or Macarons Et Madeleines. There are 5 to a package and go for $7.99. ($1.60 each). Macarons Et Madeleines charges $2.00 for a pain au chocolat. Art-is-in Bakery charges $2.50. 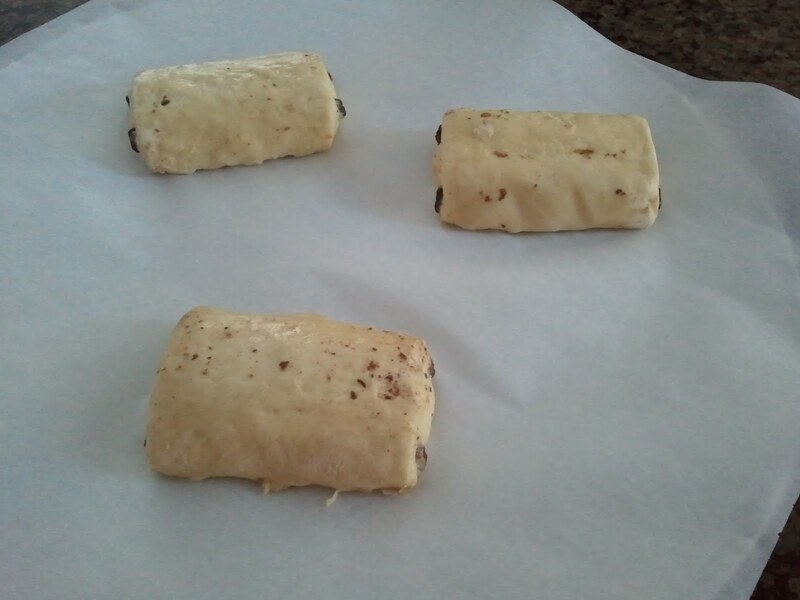 The instructions did not serve me well at all with my first two tries at Cool & Simple pain au chocolat. Although the outside looked great, inside the centre was still doughy and no where near done. Knowing that Grace In The Kitchen is also making this product for their coffee bar, I checked in with the baker on my next visit. He told me how he solved the problem. 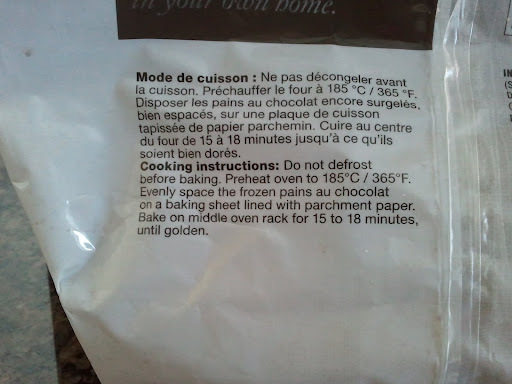 And voilà! 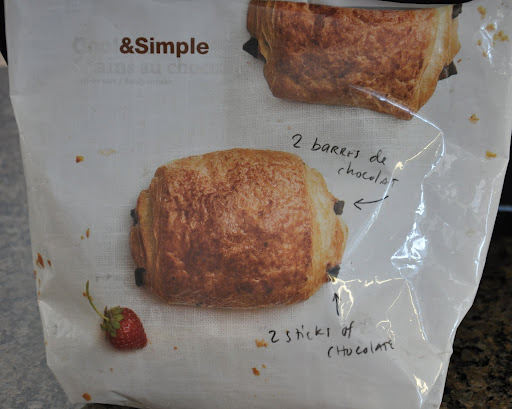 They make a nice cheat when you aren’t up for leaving the house. blumenstudio – Can Anybody Make A Better Café Crema? Fifth Town Artisan Cheese Co.